The Gloucester and District branch of Samaritans formed in 1962 and moved to its present location near Gloucester Park in 1993. We received local calls and those from throughout the United Kingdom thanks to the introduction of a new telephone system which allows more people to get through to a volunteer when they need to talk. Our branch also responds to people by email and SMS. The vision of Samaritans is that fewer people die by suicide. Someone calls the organisation, nationally, every six seconds. Three times more people die by suicide than from road traffic accidents and suicide is the biggest killer of young people aged 20-34 and men under 50. We don’t give advice, we listen and let people explore their emotions and options in a non- judgemental and confidential environment. It’s the kind donations of the public and supportive organisations that allow us to keep our branch open. In Gloucester, we are run entirely by our 120 volunteers, who in addition to listening on the phones, listening face to face in our branch and speaking to people by email and SMS, fund raise to meet the £30,000 cost to keep our branch open each year. You will also see us in the community, giving talks, working with other agencies for example the Police, Network Rail, Schools, and other partnership organisations to raise awareness of our work, to raise money and to recruit new volunteers. The Gloucester and District branch of Samaritans formed in 1962, we are run entirely by our 120 volunteers, who in addition to listening on the phones, listening face to face in our branch and speaking to people by email and SMS, fund raise to meet the £30,000 cost to keep our branch open each year. We received local calls and those from throughout the United Kingdom thanks to the introduction of a new telephone system which allows more people to get through to a volunteer when they need to talk. Our branch also responds to people by email and SMS.The vision of Samaritans is that fewer people die by suicide. Someone calls the organisation, nationally, every six seconds. Three times more people die by suicide than from road traffic accidents and suicide is the biggest killer of young people aged 20-34 and men under 50. We don’t give advice, we listen and let people explore their emotions and options in a non- judgemental and confidential environment.It’s the kind donations of the public and supportive organisations that allow us to keep our branch open. Samaritans are ordinary people from all walks of life who have chosen to devote part of their spare time to helping other people in distress. 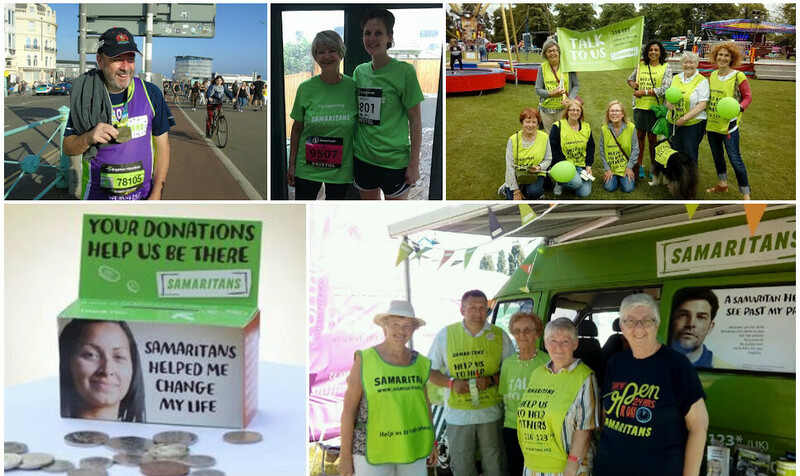 So many people have it in them to be a Samaritans volunteer. To touch another person’s life when it really matters, by helping them directly, or by keeping our branches running, is a rare gift. We are truly grateful when people chose to support us.